Community Events bring communities together and instill a sense of community pride and knowledge of their history. The City of San Fernando Recreation and Community Services Department proudly serves our community with fun, exciting, and family-friendly special events throughout the year. Complete healthcare services for you and your whole family! Come learn how to prevent, reduce, and manage chronic diseases and get information on nutrition, physical activity, mental health services, and much more. Block Party! – Bike, skate, rollerblade, walk, dance, eat, shop, and play in car-free streets. The event is FREE, family-friendly, and requires no registration! Brought to you by Metro. Celebrate Older American’s Month with us! Grab a blanket or your favorite lawn chair and join us at San Fernando Recreation Park for our annual concerts and movies in the park series. Each night will kick-off with a JAM Session, followed by our featured concerts and movies. JAM Sessions invite you to dance to the beat, play a new instrument, and experience something unexpected! All ages and skill levels are welcome at this FREE interactive series. 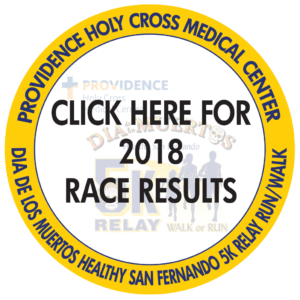 Scheduled in the Fall and includes a 5K Run/Walk Relay Race, Tot Run, Health Fair, Art Exhibit, Face Painting, Children’s Workshop, and Entertainment. This holiday tradition is held on Brand Boulevard between San Fernando Road and Celis. The evening features entertainment, face painting, and crafts for young people. Of course, all ages will be welcome to take a photo with our special invited guest, Mr. Claus, who has already confirmed his visit. Join us for Free Movie Friday and a variety of movies. JAM Sessions are back in San Fernando! JAM Sessions invite you to share the stage with the artists and each other to collectively dance to the beat, play a new instrument and experience something unexpected! All ages and skill levels are welcome at this FREE interactive series. Each JAM will be paired with a fun City of San Fernando event.